Trochanteric bursitis is just one of many common causes of hip pain among athletes. 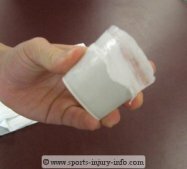 If you have pain on the outside of your hip, you may be suffering from this sports injury. Read on to learn more, and for treatment options. This is a part of the femur, the large bone that makes up your thigh. It actually sticks out from the side of the hip, and is surrounded by several different soft tissues. Because the greater trochanter sticks out, it is susceptible to friction between the bone and the muscles, especially the Iliotibial Band, or IT Band. 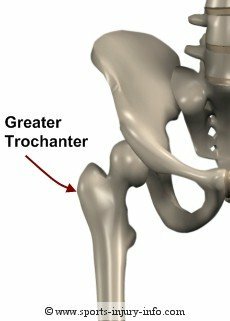 The trochanteric bursa is a small fluid filled sack that sits between the muscles and the greater trochanter in your hip. 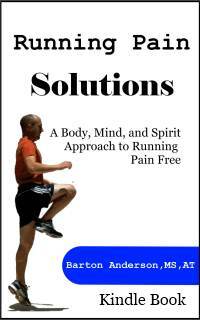 It is there to reduce friction between the muscles and bone as you move your hip. With activities like running, jumping, and squatting, the muscles repetitively move over the bone, and over time this can cause an irritation of the bursa. Bursitis is an inflammation of the bursa. Muscle tightness is the most common cause of bursitis. The Iliotibial Band, or IT Band is a big culprit in trochanteric bursitis. 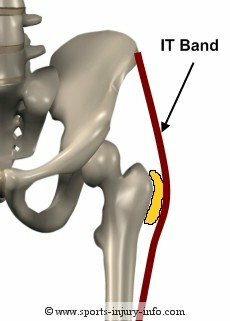 The IT band runs along the outside of the hip, and the tendon actually moves over the greater trochanter everytime you lift your knee and flex your hip. Think about how many times you do this every time you play basketball, or go for a run. If the IT Band is tight, this increased friction will irritate the bursa, and may cause pain over time. Another cause is direct injury to the outside of the hip. Contact sports like football and rugby can cause this type of injury, where you land forcefully or are hit on the outside of your hip. This causes bruising and irritation of the bursa. Rest is the best initial treatment for trochanteric bursitis. This will allow for your body to start healing, and for the inflammation of the bursa to subside. During the first few days, ice will help to reduce your pain and symptoms. Ice massage is the most effective way to ice this injury. Once your pain has decreased, gentle stretching of the hip muscles can help to reduce the stress on the bursa. A good flexibility program can help treat this injury. It is also a good idea to see your doctor or athletic trainer if you are having hip pain. This is the best way to know exactly what is wrong, and the appropriate treatment options. Trochanteric bursitis is an inflammation of the trochanteric bursa in your hip. It can be caused by muscle tightness, repetitive motions, over training, or dirct injury to the hip. Rest, ice, and gentle stretching are good treatments, along with seeing your doctor for evaluation.